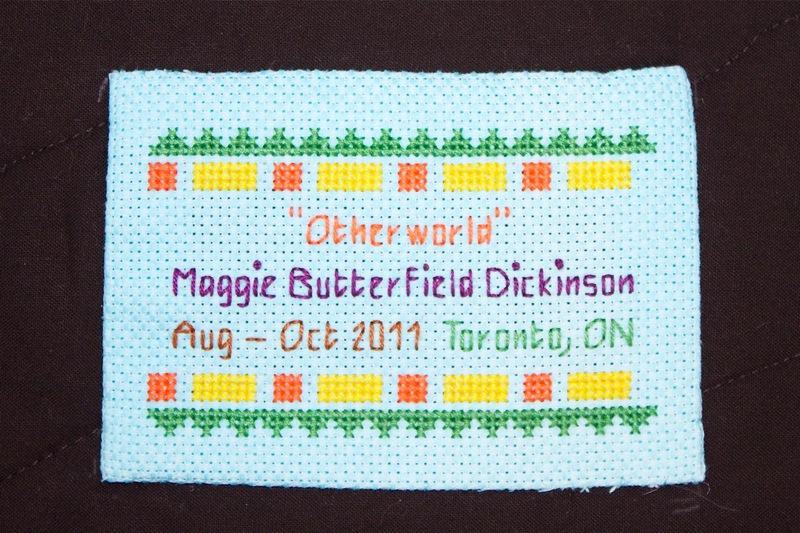 “Otherworld”, 10″ x 12″ (25 cm x 30.5 cm). Artist’s photograph transferred to cotton canvas and thread painted by machine using 51 colours of thread including 21 shades of green. 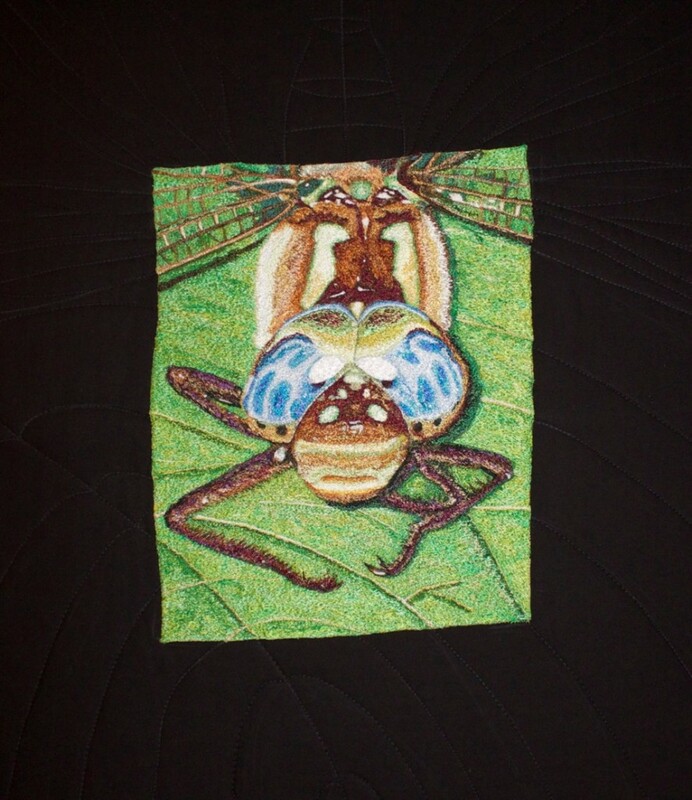 Mounted on machine stitched cotton fabric 21 3/4″ x 24 1/2″ (55 cm x 62 cm). 4″ x 6″ (10 cm x 15 cm), Cross-stitched on Aida canvas.